We put a new spin on traditional teriyaki. Instead of ginger this sauce has sweet basil giving it a Thai twist. We also replaced the sesame seeds with yellow mustard seeds giving it just the right amount of bite. 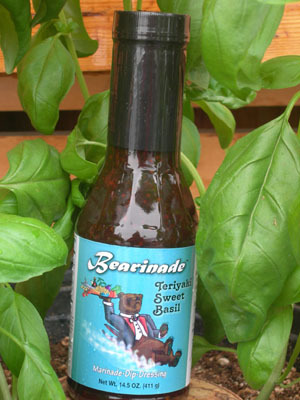 It is on the sweeter side and is great for marinating chicken, salmon and other meats. Use it as a dressing for your salads and pasta. It also makes a tasty dip for veggies and fries.